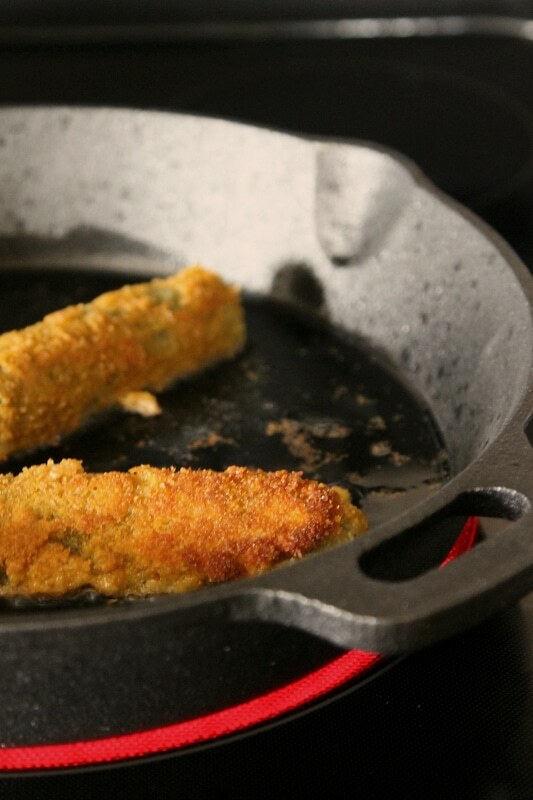 Home » Crafting » Sweetened Fried Pickles: July 4th Must! 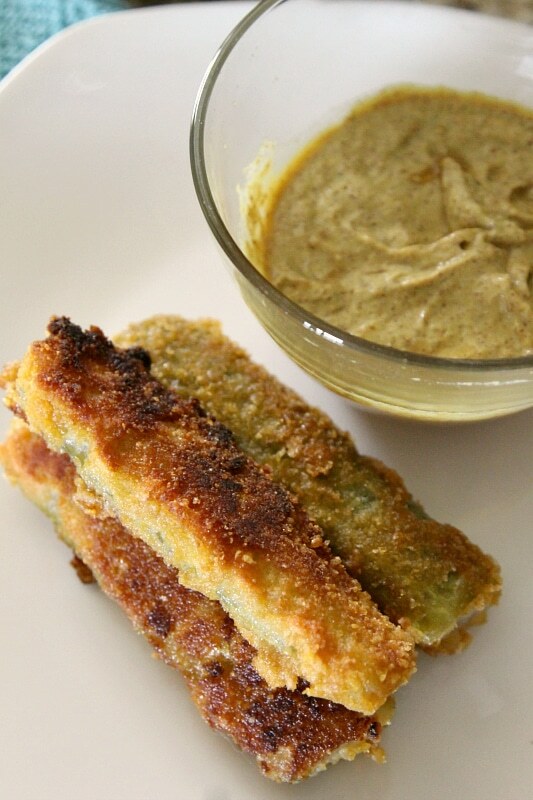 Sweetened Fried Pickles: July 4th Must! I cannot believe July 4th is nearly here. And every year at this time we not only get to celebrate our country’s independence, but my husbands birthday which falls right before it on the 1st! As you can imagine its one long week of great food, fireworks, and Suprise Inside Firecracker cupcakes. Now I know I have mentioned before how picky Charlotte is. She is a self made vegetarian (although sometimes I can get her to eat some chicken) which means we constantly have to figure out what kind of food she is willing to eat that falls outside of the ‘pasta’ realm. So you can imagine my shock when about 3 weeks ago I (and she) discovered she liked pickles. I really thought that someone so worried about taste and texture and spices would not have a thing to do with pickles, but she loves them so much I caught her FREEZING the pickle juice into a Pickle Popsicle. Now I like them too (although pass on the frozen juice part) so I wanted to share a fun and easy recipe that is great to serve for the upcoming holiday and beyond! 1) First, I want to say that I use Dill because they have that vinegar flavor and a great crunch. The balance of them with the sweet is perfect, but you could grab the Zesty Garlic or Bread and Butter Flavor “chips” pickles if you prefer. Vlasic sent me some coupons to test out the Farmer’s Garden pickles and they are fantastic! 2) Prep- put your frosted flakes into a blender and blend down into crumbs. Place in a bowl alone. Next add your flour and cornstarch together in a bowl and stir. Set aside. Crack your 3 eggs into a bowl and mix up. Set aside. Pour your vegi oil into a nonstick pan and heat to medium heat. 3) Take your Spears out of the jar and shake off the juice. No need to dry them. Roll them into the flour/cornstarch mixture. 4) Dip your cornstarch spear into the egg and then roll into the frosted flakes crumbs. 5) Drop your coated pickle spear into your oil and fry until golden on all sides, takes just a few minutes depending on how hot your pan is. 6) Now serve and eat! Tip: For an easy party platter, skip the toothpicks and add disposable forks instead! Your guests can grab and eat on the go. Do not forget to follow Vlasic on Facebook or catch up on twitter for tips and recipes that go from the Farm to your Table. What is your favorite thing to bring to the table on July 4th?